As a Roman deity, Caesar was given the title Divus Julius (the divine Julius). To him a temple was built next to the Roman Forum (Forum Romanum), adjacent to the famous Temple of Vesta. 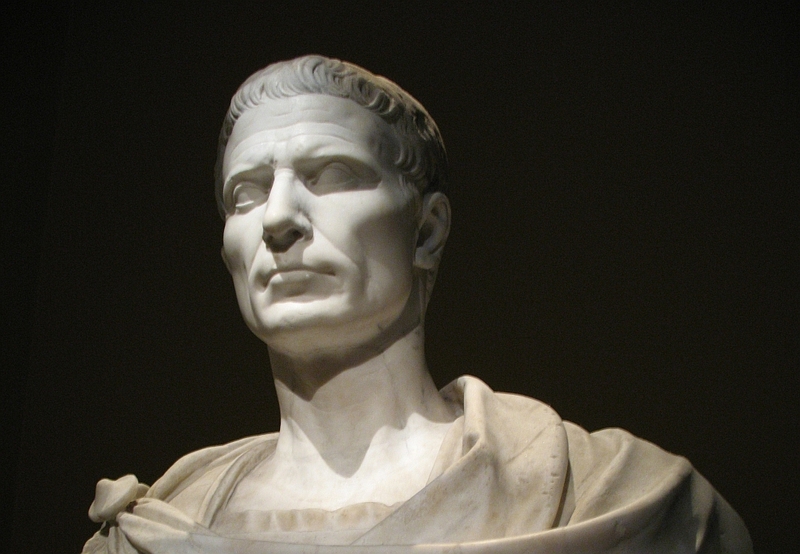 On this day in 42 BC Julius Caesar was declared a god by the Roman Senate. It was the first time in history that a Roman citizen was officially deified. Interestingly, Caesar was officially declared a god only after his death (he was assassinated approximately 14-and-a-half months earlier). As a Roman deity, Caesar was given the title Divus Julius (The Divine Julius). A temple to him was built next to the Roman Forum (Forum Romanum), adjacent to the famous Temple of Vesta. Later, temples in his honor were built in other cities of the Roman Empire. The first Roman emperor – Octavian Augustus – was the adopted son of Julius Caesar and was allowed to carry the title of Divi Filius (Son of the Divine).